How many times have you viewed BRAVEHEART? Let us know and we'll add you to the list. MY NAME IS JOHN WALKER AND I WOULD JUST LIKE TO TELL YOU HOW MANY TIMES I HAVE WATCHED THE BRAVEHEART MOVIE. I HAVE WATCHED BRAVEHEART SINCE IT FIRST CAME OUT AND I AM STILL WATCHING IT. I HAVEN'T GOTTEN BORED OF IT AND I NEVER WILL. WHEN I FIRST GOT THE MOVIE ON VIDEO I COULDN'T WAIT TO GET HOME FROM SCHOOL JUST TO WATCH IT. I COULD TELL YOU EVERY WORD THAT WALLACE SAYS THROUGHT THE WHOLE MOVIE .I KNOW THAT I HAVE SEEN THAT MOVIE OVER 500 TIMES AND I HAVE JUST WATCHED IT TODAY AS WELL AND I WANTED TO FIND OUT MORE ABOUT HIM ON THE INTERNET. EVERY TIME I WATCH THE MOVIE IT SEEMS TO PASS AN ADRENALIN RUSH THROUGH MY BODY AND I WISH THAT I COULD BE BY WALLACE'S SIDE AT THAT VERY MOMENT TO TELL HIM WHAT WAS GOING TO HAPPEN TO HIM, AND HOW HE COULD CHANGE HIS MISTAKES. WHENEVER I GET INTO A FIGHT I JUST THINK OF HIM AND MY MIND SEEMS TO GO FREE. My name is Betty Austin and I've seen Braveheart 500 times. I love it. I want it. I want some more of it. It's the first movie I've ever seen that an actor has actually become the character in the movie. There are parts where it seems he actually isn't Mel anymore and actually is William Wallace. I am 46 years old, and it's the best movie I've ever seen in my entire life!!!!! I want to get some statues, and visit Scotland and ... I could go on and on. My name is Paul Austin and I've seen Braveheart at least 100 times. I wish I knew where we (my wife and I) could get a little statue of William Wallace holding his sword. Even if someone would make dolls like Barbie sized, with William, Hamish, Steven, Hamish's Daddy, you know the whole gang, I'm sure many other people would love to get the whole collection besides my wife and I. My wife sent away for one of your scrolls, we can hardly wait! We're gonna have it framed and we have a space on our wall for it already. P.S. Here's a poem I wrote, I hope you 'll show it on your site for others to read. I wrote it about two years ago, but I've just revised it. And the P. G. A. We have seen Braveheart almost 500 times between the 2 of us and every time we watch it we just get so emotional. We are living for the next Braveheart convention. The last one was breathtaking. The talk by Randall Wallace was inspiring and meant so much to us as Scots the last time. When will there be another one? We think its the best film ever. I love the bit where the guy gets his head chopped off and Rowan likes the bit where they moon all the English people. Hope to see you at the next convention. Lots of love from Graeme & Rowan. My name is Mick and I reckon I've seen Braveheart about 411 times. I just can't get enough of it. It's got so much action, drama, and stuff in it ... I'll probably go and watch it again now. Hello....I am a Braveheart freak from Turkey....I'm Scottish/English but I have the misfortune of being in this country...anyways....I was wondering if you could add me to the "many viewings list" I've watched it 275 times...I had watched it for about 171 but I wanted to hold the record for it so I watched it 104 times again. I am also open to anything that has to do with Braveheart. Hello, I'm already on your many viewing list with 275, but I've added to that since I wrote you last time...As I watch Braveheart once a day, I have reached the sum of 380 (including today's viewing)...also to commemorate William Wallace's death anniversary, I typed the whole script and sent it as a forward to all I know (about 500 people)....Anyways, I'd appreciate it if you'd update my viewings....thanx alot. Braveheart soundtracks, picture books, and I am getting the Wallace sword in a few weeks. My dream is to have a sword duel with Mel Gibson. I think I could give him a match. I have spent countless hours reseacrhing the figure of William Wallace . I even did a huge essay on the Florida Writes test that is required in my state. Maybe you guys could send me some cool links. I am interested in the medieval times and maybe I could learn more from you guys. I have just found your website and I must say its awsome!! Well done. 2. And for your most viewings list, I bought the movie as soon as it came out on video. I have watched at least once a week and as many as 4 times a week ever since. So that has to be at least 250 times. and I still enjoy it as much as the first time. My family has been doing our geneology for some time before the movie came out. We know that we are descendants of The Bruce. So the movie has a special meaning in our house. I have seen braveheart 235 times!! I know- call me crazy! I watch it before I go to school,when I get home and later that evening. I am also a big fan of Highlander!!! Hello from rainy California! My husband and I travelled to Scotland in 1997 and we were fortunate to have attended the Braveheart convention. Being there to celebrate the 700th anniversary of the victory at Stirling was a dream come true. I still think the neatest thing at that time was that the Scots voted yes/yes to developing their own government. Talk about good timing! I have enjoyed viewing Braveheart 232 times. Each time is like the first time with this film. Once the film was released for rental only I became so entranced by the movie I would watch it daily 1 to 3 times per day for well over a year. I love this movie like no other before it. My husband and I both have Scottish blood running through our veins and Braveheart brought us back to our own personal histories. The hardest part of watching the movie is the death scenes of William and Murron. The ending still brings me to tears every time. I enjoy finding small technical mishaps (I'm up to five of them so far). When I visited London after the convention I visited the burial site of Edward I. I'm proud to say that managed to spit on him. At the William Wallace Memorial I couldn't believe that Sir William's sword was before me. Locating and reading old copies of The History of Scotland and Tales from My Granddaddy by Sir Walter Scott have become my favorite hobby. I think William comes to life when under the pen of Scott. Stories of William's travels after he left Scotland - are wonderful and often comical. William Wallace is a grand hero to Scotland, and now I know why. I have seen Braveheart over 200 times, as a conservative count. I own two copies and watch it at least once a week or more. Plus, I teach high school English and use it to teach medieval legends, which means I watch it five times a day for five days each school year. And, I still get something new from it each time! I've seen Braveheart nearly 200 times. It is quite simply the best movie in the last 20 years. Don't usually do this sort of thing but for some reason today I am. Since I own a copy of the movie I watch it all the time. (Well....almost). As near as I can figure, I've seen Braveheart approx. 189 times so far. I saw your page and had to let you know that I am a huge Braveheart fan, also... I have posters, pictures, etc... I actually bought a 55" replica of the Wallace Claymore last week. I wore out my tapes watching them... I've seen the movie 173 times since having it on tape. I'm actually running out of people to watch it with, because when I do, I recite the lines and it makes everyone else leave. Oh well... Just thought I would send you a line and let you know there is one more fan out here. Hi there!! My name is Rui, I'm portuguese, and I'd seen the movie more than 150 times for sure!! This amazing story that Mel Gibson brought to us has incredibily inspired me to get to know much more about Scotland. Thanks Mel, Thanks Randall Wallace for the beautiful idea and... thanks William Wallace for all the things you did and all the things you make me feel. I love Scotland!!! I just browsed through your MacBraveheart page. Truly enjoyable! I noticed that I am mentioned under the "number of times" one has seen the film. My name is SUE RITCHIE. Since you live in the UK you might want to pick up the May 1996 issue of EMPIRE magazine. Page 20 features a story on myself and the "Bravehearters" on America Online. I coined the name last July. I also now host a Braveheart INTERNET RELAY chat (bi-weekly) on the Undernet network... channel #bravehearter. Myself and my husband are interested in your BRAVEHEART re-union for next September. Thanks again for a magnificent web page! [Update 10th June, 1996] 90 times in the theater... 17 times on video! [Update 26th March, 1997] 90 times in the theater... 45 times on video, cable etc. I watch Braveheart every night upon retiring... No joke, it gives me romantic dreams. Ex boyfriends have complained. So I couldn't tell you how many times I have watched it but I'd BRAVE to say its in the 100s of times that I have made it awake through the entire two films. OH MY GOSH I'M IN HEAVEN! Hello, I just got on line and this is the greatest. I have loved this movie since I first saw it and am glad to see so many others do too. Thanks so much, I will be checking often and ordering when I can. I know I've seem it well ober 100 times. Never get tired of it. My sister loves it also, and my family to boot. But they haven't seen it as many times but still love it (how could you not?). It's great to see I'm not alone. Unbelievably enough I watched Braveheart today for the 100th time! I don't really use the internet very much but was interested in learning more about the actors and actresses of the movie and suprisingly found tons of information. Anyways I saw this and thought I might let u know. I remember the first time I saw it in the theatre, I knew I had better start counting the times I saw it b/c I knew it would add up. I saw it 7 times in the normal theatres before it went out but when it went to the 1$ movies I saw it another 17 times and then 2 more times when it came out again. I have the movie and watch it all the time too as u can probably guess. Oh well, I want to thank u for creating this page and keeping the faith alive. I've seen it over 100 times, I can almost recite the entire thing. and also have a copy of the original screenplay. It is more then just a movie, its the greatest triumph of the human spirit. I don't exactly keep track of how many times I watch Braveheart, but I first saw it back in 1995 on a school trip to Mexico. It was showing at a beautiful theater in Mexico City. It only had spanish subtitles so we were okay. I can still remember thinking that the movie was over after the Stirling battle. time went on. Since then, I have seen it well over a hundred times, but like I said, I have no idea. I am planning a trip to Scotland to not only see the beautiful country, but also to see where my family is from. This McCurdy, Robert J. McCurdy, a New Jersey McCurdy, has watched this already classic movie about 100 times. There are times I just need to hear an English King curse the Irish before meeting defeat. PS: McCurdy is a Sept of the Stewarts. I've seen "Braveheart" 97 times. I watched the movie so many times I worn out the first tape I bought. I was so unhappy, that the very same day I went out and bought the movie again! I will continue watching the movie, it is the best!!!!!!!!!!!!!!!!!!!!! My name is Sloan Edmiston. I would like to know how I could get a copy of the Braveheart game? I have watched Braveheart about 84 times. I have the movie on tape. I'm a BIG fan of it. I know almost every word. I have the script. Thank you for you great web site I'm adding it to my favorites list. and dedication to Scotland's freedom. It is fitting that the 700th anniversary coincided with the "Yes, Yes" vote for independence. Although I was not there, I clipped out many aritcles in order to preserve this historic day. Long live Sir William as Scotland's Braveheart!!! I have seen Braveheart over 80 times. This is no lie, I have watched my copy so many times that the sound goes out on it some times. How's that? I've seen BraveHeart at least 80 times. It's my favorite movie, it's the best movie ever!!!! I am new to your page and quite taken by it. I have seen Braveheart 78 times......loving it more each time. My whole family knows the majority of the dialogue and, for people who see it for the first time with us, that can be annoying. However, we can hardly control ourselves. The wonderful thing about seeing this movie was its motivating me to research my roots. My deceased Mom told me I was Irish and Scottish. So far I have yet to find the Scottish connection, but I am searching. I just want to thank you for the opportunity to say how much I admire this movie and, more so, the story behind it. Please include me in your newsletter. I've seen braveheart 38 times (I like the long version much better than the shortened one). Those edited minutes really detracted from the film-particularly the cut at the end. I've seen braveheart 72 times. I have seen Braveheart 71 times and I still love it. It is my all time favorite movie. I love how a man is willing to do so much for his country. I wish there were people like that in the US today. My friend Chris and I have seen Braveheart 70 times each. Over the past several months we have been able to recite MANY scenes from memory, and act out scenes too! We were wondering, do you have any info on the possible director's cut of the film? P.S. I am a member of Clan Macpherson and I live in the U.S.
Hi gang: I 've viewed Braveheart 66 times so far. My name is Wali Bukhari! I have seen Braveheart (only in Cinema) for 65 times as of last night, that was the night of Sunday May 12th 1996! I am just in love with this movie! There never was, is or will be another movie like this! Best movie I have ever seen in my life. I own the video and the DVD version and still watch it about once a week. To date have watched it a total of 61 times and counting. Well considering my love for this time and movie...I've watched this movie around 2 times a week since its release...on top of 3 times at the movies...needless to say I'm approaching 60 seeings of this movie very soon!!! ! ANYWAY THATS ANOTHER STORY! I am proud to mail you guys and we(me and Lina) send you our best regards. Sorry for the huge mail but you've seen the film!!! I hope u understand!!! :) C ya around Magua & Lina. I have watched it at least 60 times, maybe more. Aside from Star Wars (over 1700 times -I stopped counting after 1625 "destroying" 35 tapes! ), I've seen Braveheart almost 60 times (5 times in the theater, 4 times on cable TV, once on commercial TV (loved the extra footage) and "Pan-n-Scan" tape, 16 times on "WIDESCREEN" video tape, and did not want to purchase a ton of tapes, so I got the LASERDISC and have been viewing it over and over ever since. As a member of the SCA, and a person that loves Scottish history as a whole, Braveheart is more then just a film, it's a research reel, and a looking-glass into what I love most about Scotland. really inspirational to me. I'm sure everybody who has seen the movie can relate. least see it once, I definately agree that it is the best movie of all time, and also the most inspirational. OK I know this sounds bad but I have currently seen Braveheart 54 times. Don't ask me why but I keep going back to it. Oh and the Laserdisc version helps make it funner to watch! Hello! I am 85% Scottish and fiercely proud of it! I watch Braveheart about twice a week which equals about 54 times. I am glad that there is a webpage out where I can go to talk with people who share my fond interest in this wonderful movie. Thank you..
Hello..as a Scotsman living in Vancouver Canada I must say how much I adore your MacBraveHeart page It has made me feel very proud of my heritage and my country, excellent page keep up the great work. Also own three copies of Braveheart just in case one tape breaks. Have watched the movie 53 times and it keeps getting better. I have seen the movie 51 times. I am a student at Universidad de las Americas Puebla in México. and I just love this movie. What can we say! Thanks to everyone for feeling like we do about BRAVEHEART. My name is Sue Metcalf, I have just found your Braveheart page. I've seen Braveheart over 50 times; incredible film. I nearly know the script by heart. I watch some part of it every day, no kidding! I thought I was the only Braveheart freak but I see I'm not alone! I must definitely make that trip to Scotland now. I'd just like to say 'I've come to the right place then ... '! I must have seen BH now more than 50 times (26 at the cinema) and while I was in Hawaii (I don't normally go to these places, we were celebrating our 25th wedding anniversary) my very nice tennis coach had not seen BH. I stood flabbergasted. He said he had always wanted to see it but never got round to it, so I went out and bought him a copy from Woolworths and Mel's Hamlet to boot. Hi my names Jesse and I have seen Braveheart at least 50 times, it's my favorite movie thats ever been made. I've heard people say that Titanic is better but in my opinion it doesn't even come close. First let me start by saying this a great site worthy of the greatest movie ever made. I can't accurately say, but I think I've seen Braveheart about 50 times. But the most proudest thing I have is my Braveheart tattoo. I have the sword that Gibson used in the movie tattooed on my back. It runs from the top of my neck to the base of my spine. It was the most painful four hours I've ever experienced, but it was worth it! I just want to thank you for setting up such a great site and I'm ashamed of myself since I didn't discover this site sooner. You both should be very proud. Greetings fellow fanatics! I have seen Braveheart at least 50 times or more not to mention all the times I've watched the battle scenes alone! God bless America! And a free Scotland as well! I have seen Bravheart so many times I have lost count, but I know it to be way over 50! I saw it 10 times in the theatre, then I bought the movie in regular and wide screen editions. I even had a friend tape it off HBO for me so that I could have it all on one tape instead of two! The first time I saw the movie I wanted to go back to the theatre and see it again! I thought I was the only one obsessed with this movie, but I'm glad to find that they're are so many other's just like me! My Name is Peter. I'm from Germany. I've seen Braveheart 50 Times. And I find it's the best Movie in the World. 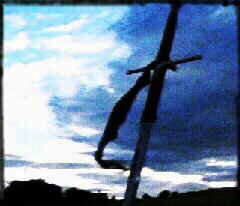 I meet last year the Wallace Monoument and I saw the Sword from William Wallace. Thank you so much for this page. My mother and I are new to the internet and never could have imagined how many people truly loved and cared about BRAVEHEART as much as we do. We went to the theaters over twenty times together , always wondering if we were the only ones who felt this way. Reading the comments here is like looking into our own hearts. This movie has been and always will be a strong bond between my mother and me. Now we know that bond extends around the world to every person who has ever experienced BRAVEHEART. I , Eleanor Jean Young have seen BRAVEHEART 23 times , my mother , Cherie Anne Young has seen BRAVEHEART 22 times , and my sister , Esther Nancy Young has seen BRAVEHEART 5 times. P.S.- My Grandmother , who recently passed away , had the middle name Anderson. Her mother was Scottish. This is the best web page I have ever visited. A friend sent me your site and I am astounded. I did not think anyone had seen Braveheart, truly the greatest film ever made, as many times as I had. I have seen it 5 times in the theatre, 3 times normal video and 11 times widescreen version. I own both versions as well as the incredible CD (and tape) as well as a couple of posters. What amazes me is that I can trace my family history back to the time of William Wallace's children, in Scotland. Unfortunately, half of them were the English lords which William hepled to rid Scotland of for a time. I am traveling to London this Christmas and wish I could find a way up to the areas the movie and stories show so vividly. Please, keep this page going for Braveheart must be remembered as the greatest film to date, or any date. Thanks for your site, and I'm glad you are as big of a fan as I am! My Brother "Paul Steinke" has seen Braveheart over 50 times. He also has seen it once in Canada and once in Scotland, which means he is well on his way of obtaining his modest goal of being the first person to have viewed the film at least once in every country of the world. Hello, My roommates and I are huge fans of "Braveheart". We agree that it is the best movie of all time, we can actually quote most of the entire film. I don't know if you guys count watching it on video or just exclusively in the theaters, but we have watched "Braveheart" Two to Three times a week for the last six or seven months. I have no idea how many times total we've watched it, I stopped counting when it overcame, "Aliens", my last previously most watched film, at forty-nine times. I'm so excited to find a web page on this film, keep up the good work.
" We'll see ye later"
Just wanted to let you know I've seen the movie at least, I repeat, at least 50 times. My room-mate and I have worn out 2 copies of the home video already...This movie is one of the all time greatest ever made!! My name is Jason Bing and I would like to enter a late registration for attendance to your fantastic Convention. I am a 21 year old university student and I visited Scotland in May of 1999 and istantly fell in love with the beautiful country. I took it upon myself to turn the experience into a Braveheart pilgrimage of sorts. I stayed in Edinburgh for 2 weeks, traveling to Stirling, Falkirk, and through some of the highlands. I visited all things with Wallace associations, read Blind Harry's Wallace and The Tales of Sir William Wallace, and took loads of pictures along the way. PS I have seen Braveheart 50 times too! I watched the movie the 50th time and after that I joined the web and found your page. I've seen "Braveheart" in the neighborhood of 50 times. Every time I see it, I am transported back in history to those daring times. Mel Gibson did a wonderful job portraying William Wallace and Angus MacFayden did a great job of portraying Robert the Bruce. Thanks for the great page! Hi...I've now seen Braveheart 48 times. Definitely the best movie ever made. My name is Lee Campbell and i live in Hertfordshire. I have seen Braveheart 47 times since it's release in 1995. it is my most favorite film of all time and nothing will or has come close in terms of filmmaking. BRILLIANT/KEEP UP THE GOOD WORK. Yeh! I saw braveheart 42 times! It's the greatest movie of all time. I'm a Canadian and I must say that you Scotsmen have made a great impression on me. Please e-mail me, my friend from Scotland, the country of all the beauty! I have seen Braveheart at the theater twelve times, and I have seen it on home video at least thirty times. This is, in my opinion, the best movie ever made. I love Scottish and Irish things because I am mostly Irish. I even went to Ireland over the summer and saw some of the places in which parts of the movie were filmed. Please add me to the many viewings list. The movie "Braveheart" is the greatest movie I have ever seen. I have seen it 42 times and because of this movie I have visited Scotland 4 times (including all the movie's sights). I hope to visit this country again this summer. Thanks to this movie I discovered that my ancestors were Scottish and I have family in Scotland. I LOVE BRAVEHEART!!! It's by far my favorite movie. I don't know exactly how many times I've seen it, but it must be at least 40. (I have it memorized) Great page! I saw it 10 times in the theater...I have watched it at least 30 more times since, can't really keep count....I love it so much, it makes me want to be a better person, its inspiring. I want to visit Scotland everyday. Hi there! I am totally obsessed with "BraveHeart". I watch it every chance I get. I have a three different "BraveHeart" desktop themes for my computer. I have visited almost every "BraveHeart" site on the web. I am so glad that there are others out there who love this incredible movie. It makes me wish I were full blooded Scottish, instead of just a little bit. Braveheart is the best, most moving dramatic film I have ever seen. I have seen Braveheart 40 times and I'm still watching. I just went on your site and it is unbelievable! Great job! unfortunately, I will not be able to go. I am a fourth year translation student at Ottawa University in Canada. I will have my diploma in April and then I want to leave. Where? In Scotland!!! I have already sent many resumes in London (in translation from English to French) and it did not work well so far. If you have by any chance, any plug you can give me, go ahead and make my dream come true!!! I look forward to have a more thorough look at your site. Thank you very much your help and keep it up! My wife Vicki and I went to see at theater 4 times, rented it twice, recorded it off tv once and watched that 3 times and then bought the movie and have watched about 25 times since.. this is what a movie should be. I am Chris Birkholm and I am now 16 today. I have seen Braveheart 38 times. I own the movie and basically know it line for line. I have now seen Braveheart about 29 times on video and have started doing research on William Wallace, I have also read the novel by Randall Wallace. [Update 21st May, 1996] Actual since that message has been written I've now seen the movie 36 times, have bought the soundtrack and have read the book twice. I hope you enjoyed the book? My research is going well mainly because of the internet. But I'm finding it kind of discouraging because I can't find much in the line of reading material or pictures could you recommend some? I have seen Braveheart at least 35 times, maybe more. It is hard to keep count ... I just watch it when I get the urge. My girlfriend and I have seen "Braveheart" over 35 times. I am not sure of the exact number. But it is a pretty good estimate. I saw it 6 times in the theaters and have seen it on video the rest of the times. We absolutely love it. Though, I am still doing research on the true history behind the movie. I am a college student majoring in history and am fascinated with the Scottish Wars for Independence. I have seen Braveheart 33 times but I am very disappointed. I have never seen it in the movie theaters. Up until the movie had been released on video I had not even heard of it. One evening my parents rented it and after they had seen it I took it into my room and watched it myself. I started watching the movie at 1:30a.m. but I was wide awake and attentive throughout the whole film. It evoked emotions from me that no other movie had ever done before. Sure enough when it ended around quarter to five that morning, I rewound it and watched it again into the wee hours of the morning. Since then I have bought three copies of the movie. A viewing copy of the regular version, a regular copy that remained in the wrappings and also a wide screen version that reamained un-opened as well. The reaction I get each time I watch the movie is no less emotional than the first time. I obviously haven't watched it as many times as most people on this list but every time I have watched this film I have lived it. I don't know if my heart can take all the strain of watching it many more times...Nah! Who cares it is well worth it. Every time Wallace is executed I feel a part of humankind die with him. Without freedom life isn't worth living anyway, so I know William Wallace died a happy man. Hi - I am a huge Braveheart fan and have now viewed the movie 32 times at last count. I own both versions, the regular and the widescreen, although I am giving my widescreen version to my son as he has a larger TV screen and can appreciate it better than I can. I can't say enough about your Braveheart page. I look at it many times. I also got the Braveheart CD-ROM. It's great. The soundtrack is awesome - just listened to it tonight while I was at work; unfortunately it always makes me want to see the movie again. I have never known a movie have such a profound effect on me that Braveheart has. Keep up your wonderful page. I have been to Scotland one time (last August with my 26 year old son), and hope to return again someday with my husband. It was a wonderful experience. I am a descendent of Clan MacDougall and very proud of my Scottish heritage. Thanks for listening. Hi there, remember me. How did the convention go? I'm sure it was a blast. I do apologize for not being able to attend when I said I would but I had college to start. I am doing pretty good actually. Well the reason I wrote is because my many viewings of Braveheart has grown from the last time we talked. I have seen Braveheart thirty-two times, making it the most watched movie in my collection. I still list it high on my favorite movie list and it probably will always stay there. I saw the movie "Braveheart" in theatres 4 times, 3 of them within one week. The day it became available to rent, I called in sick to work and was at the video store an hour before they opened. I rented it, AND a VCR so I could tape it. I watched it 3 times that day. When it went on sale, I bought it as well, so I would have the "Official" version. Since I have watched it easily 20 times...I put myself at viewing the movie about 32 times, give or take a couple. the most chilling scene in the history of cinema. My name is Bobby Wright. I have seen Braveheart 31 times to date. I concur that it is the greatest film ever. No other film has left me totally speechless after watching it! I'm sorry I haven't found your page earlier. I just recently got a comp. at home. I will be visiting often. Well after seeing the film at a local theatre 3 times I video taped it when HBO showed it in the first week of September and have watched it at least once a week since then so I'm on at least the 30 plus side of viewings. It has awakened me to look into my Scottish heritage and find out just which clan I am from. I have always been proud of my Scottish ancestry but them film made me even prouder of my history. As of the second week in January I have seen Braveheart more than 30 times! I recommend it to friends, strangers and anyone else I can get on the subject. I even gave copies of Braveheart to friends as Christmas presents. WE HAVE SEEN BRAVEHEART 30 TIMES !!! AND SEVERAL TIMES SINCE WE BROUGHT THE MOVIE HOME. I have seen this movie in my home at least 30 times. I am obsessed with this movie because its simply GREAT!. I liked Mr. Gibson as an actor but was never drawn to see a movie because he was in it, it was always the story that was the reason, I always thought he was an alright actor but nothing to split my brain cells about, however, after seeing this movie I must apologize: Mr. Gibson is a fine actor. I have read many things on med. Scotland and have envisioned them in my mind but he brought it to life. I'm sure if Mr. Wallace could see him today he would be more than pleased by his rendition of Mr. Wallace, those realistic battle scenes which made me wonder, "how'd they do that?" it was simply awsome. I have never been this effected by any movie. The theme by Mr. Horner is simply awsome, I listen to it every single day on my way to work, its haunting theme brings back many scenes from the movie. This movie literally makes my pulse race. I think it deserved all 10 oscars and yes one for best actor. The scene when he discovers The Bruce has betrayed him wrenches my heart every single time I watch it, I cry the tears he threatens to shed. My husb askes me if the movie makes you cry why do you keep watching it? I said, I can't help it. I must, I'm drawn to it. I think I need help. My son and I saw this movie twice in the theatre before purchasing the video which we watch every couple of weeks or at least once a month. I'd say we've seen it between 25 and 30 times. We have the almost full-size Mel poster in my darkroom (I'm a photographer) and my husband says he's jealous of the hours I spend in the dark with Mel. I think it is an excellent medieval film though I have some issues with the inaccuracies. But finding totally believable medieval depiction isn't easy in either books or movies, though Valerie Anand came the closest with her early books (no longer in print, sadly), though she and I have been correspondents for years and she has sent me a number of her books, I'm still trying to locate the earliest. For a great medieval book try "Down the Common". At the moment the author's name has slipped my mind - she wrote it when she was 82! It is about a year in the life of a medieval woman. Outstanding. For anyone who loved Braveheart, try the movie "Dangerous Beauty" starting Catherine McCormack (Murran). Oh man! This website is so cool. I see I'm not the only one obsessed with this movie. I don't count how many times I've seen it but I think it's got to be over 30. Everytime I watch it it feels like the first time. That's why it's so hard to keep count. Thank you - please keep your cool web-page rolling! Glad to see that this is still going on. I have pneumonia today. Just got finished watching Braveheart for the 30th time. Never before in the history of movies has one inspired my Scottish ancestry like this movie. I have been tracing my family since 1969. My family came Ayrshire. They were Lairds from Torbolton, Ayrshire, Scotland. Alba gu brath. Thank you for do that website, is great!!!!! !